The Florida coast has receded like 200 miles in the past 10,000 years, but the last foot is because of us. It'll be an island in like 40 years, so maybe buy a boat, too. I’ll buy several to go with that place. Has nothing to do with rising ocean levels though. They aren’t rising that fast. I’ll be long gone before that’s a worry. Back to fantasy land, I love the Gulf side of southern FL. Lots of seclusion and peace compared to the Atlantic side. Maybe Cally could be my neighbor. Pars if its seclusion and peace you want, go to the islands...and save some money. Beautiful. But too prone to tropical storms. Yes, Florida got walloped last year but the frequency of big hits is less...especially on the southern Gulf side. Again, they did take a direct hit this past year and also several years back (2004) with Hurricane Charley. Also if I had billions and a 50-100 million dollar mansion got Wiped, no big deal I guess. THIS !!!!!!!!!!!!!!!!!!!!!!!!!!!!!!!!!!!!!!! Can I visit? Ofcourse, the house will be so big I wont even notice if someone else lives there. Bacon. 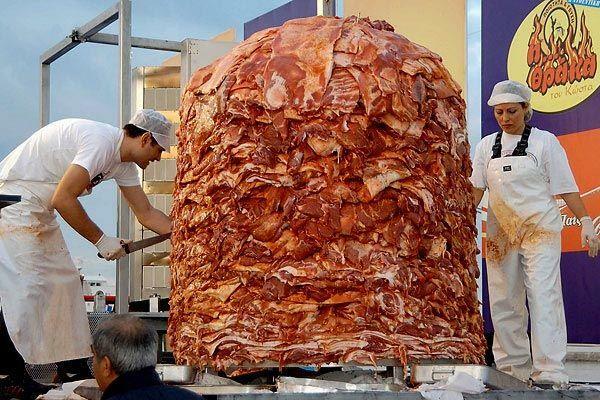 Lot and lots of bacon. Last edited by Parsley; 06-02-2018 at 07:47 PM. Lucky you. I wasn't as fortunate.